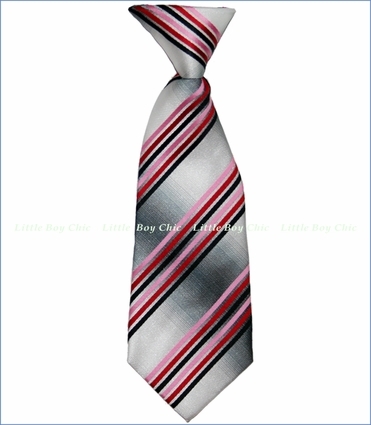 Dressing up is a breeze with this handsome necktie in pink, red and black pinstripes with black and grey gradient background. Textured fabric. Pre-tied knot attached to an elastic band that is easy to put on. 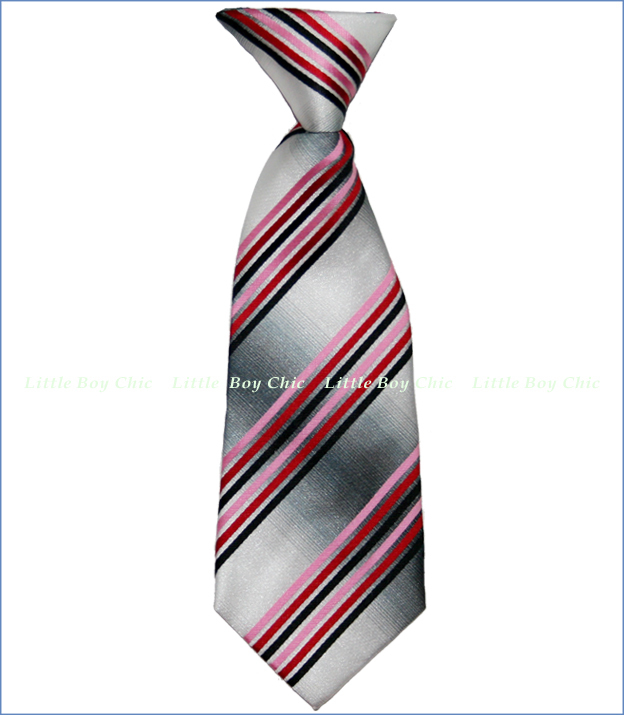 9-inch fits approximately 1-4 yr. 12-inch fits approximately 4-8yr.